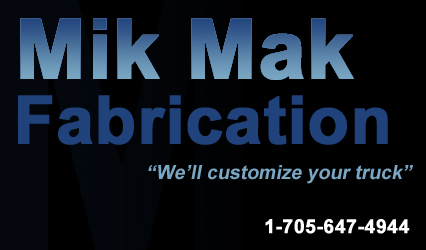 Ray Berthelette founded Mik Mak Fabrication Ltd. in 1975. He was a truck driver at the time, and wanted to make life on the road a bit more appealing. This is when he manufactured his own sleeper. Since that time, thousands of sleepers have been produced at Mik Mak Fabrication Ltd. making it the leader in the industry.As the production of sleepers continued to grow, thought was given to the safety of the driver as well as the comfort. 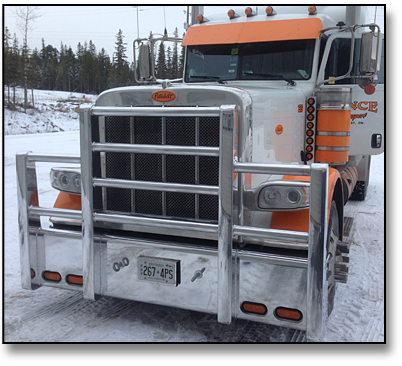 This led to the production of the moose bumper. Since this time a new shop has been built to accommodate the demand for this product. Marc (Mak) Berthelette is now the proud owner of Mik Mak and he takes pride in every item manufactured.